This product is specially formulated for a long-lasting, light-weight shine. Lemon Grass Oil has been extracted and strategically placed in this product for its balancing, energizing, and purifying properties. This light fragranced, anti-fungal conditioner is powerful in its attributes. As a hair conditioner: Apply a small amount to palm of hands. Rub together and smooth throughout hair. Style as usual. 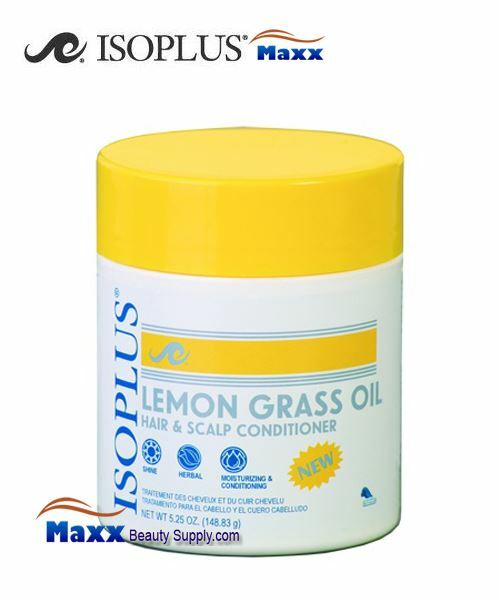 As a scalp conditioner: Apply with fingertips to scalp. Lightly massage into scalp and style as desired. Petrolatum, Paraffin Wax, Ricinus Communis (Castor) Oil, Isopropyl Myristate, Cocos Nucifera (Coconut) Oil, Cymbopogon Schoenanthus (Lemongrass) Oil, Rosmarinus Officinalis (Rosemary) Extract, Citrus Reticulata (Petitgrain) Oil, Thymus Vulgaris (Thyme) Extract, Fragrance (Parfum), Propylparaben, FD&C Yellow 11.